TPS Band 2016 from Tamaki Primary on Vimeo. We are excited to be going to camp next week (week 7) to Camp Raglan. Our student leaders have put together a video that showcases where we will be going for camp and what we will be doing there. Kia ora. At Tamaki Primary we have Student Council Leaders. These students are the role models of our school and are great examples of our school values. In this movie our school leaders will show you how they encourage other students to make positive choices. WALT:Practice how to show our opinions and how to be persuasive while doing it. Today we did a warm up which included showing our perspective and giving the reason for that opinion.We had a range of scenarios to work with. Next time I think I need to work on elaborating my ideas. Please give feedback and feedforward. Today I was working on a google presentation about an olympic athlete and how this person has the 3 key values in the olympics and they are respect, excellence, and friendship. Valerie Adams, had great Resilience, even though in her latest competition she came 2nd place overall, she still believes in herself, that she is able to achieve coming in 1st place, in the shot put competition. WALT: use Bloom’s Taxonomy to critically summarize a current event. - identify key words in a news article. 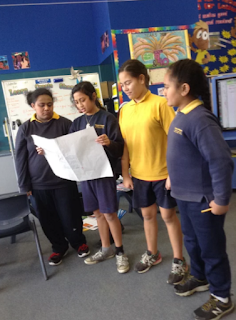 - use critical thinking skills to analyse a current event. I worked in a group to complete a bloom's taxonomy task about the Olympics with my four friends we each had a slide to finish individually and put it all in one presentation to understand the text we used a skill that our teacher taught us call analysing but she taught us to always read the words you know and research what the other words mean next time i would like to work on my researching skills and my typing skill to type faster. 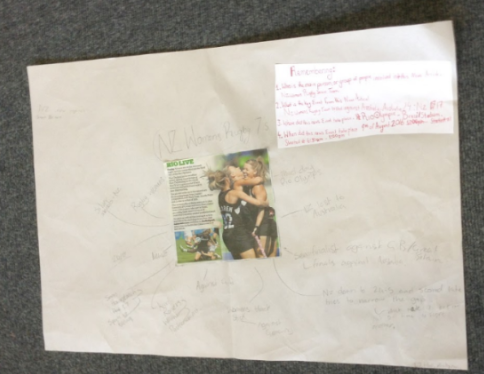 This is my writing: On the third day of the olympics The NZ women’s rugby sevens were awarded a silver medal when the NZ women's rugby team versed germany nz had lost to germany and came second germany came first NZ came second and canada came third. This picture is about the NZ women's rugby sevens.